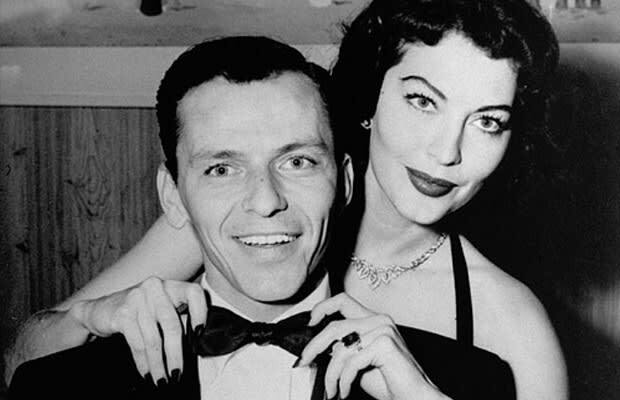 Although he was without a doubt a womanizer, Sinatra was married four times. Yet, it was his second marriage to movie star bombshell Ava Gardner that his friends and biographers agree was the love of his life. Already married to his first wife Nancy for 11 years when he met Ava, they soon split and he married Gardner 72-hours after the divorce was final. However, Ava and Frank fought constantly and often made the national headlines with their violent behavior, broken furniture and gunplay. "He has a temper that bursts into flames, while my temper burns inside for hours," Gardner said.